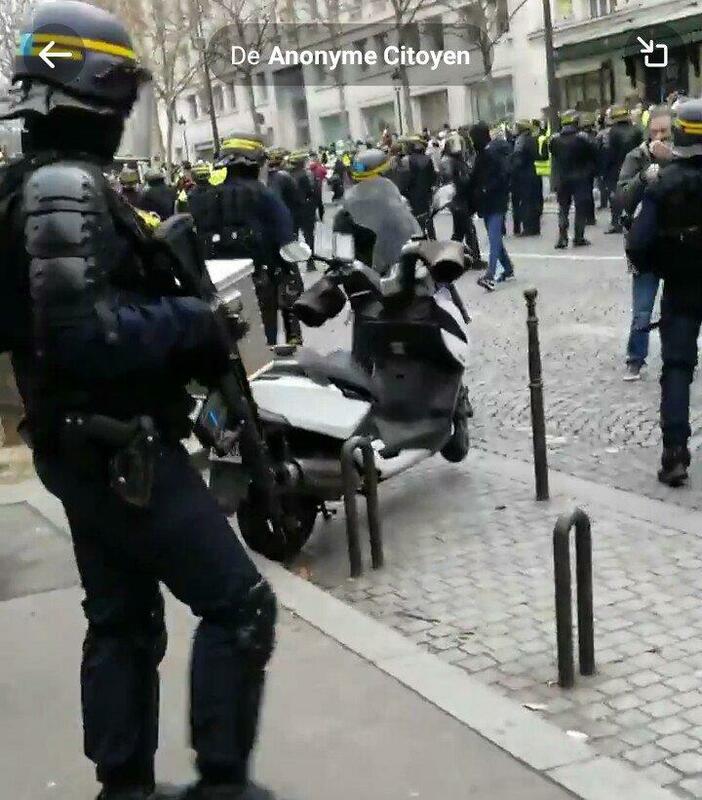 French riot police were pictured brandishing Heckler & Koch G36 semi-automatic rifles with 30-round magazines near the Arc de Triomphe in Paris on Saturday afternoon, reports the Daily Mail. The deployment of rifles with presumably live ammunition visible through the magazine is an intimidating escalation as President Emmanuel Macron continues to lose his grip over France following nine weeks of country-wide protests by the Gilet Jaunes (Yellow Vest) movement. The Gilet Jaunes began as a demonstration against a climate change-linked fuel tax, which quickly morphed into a general anti-government protest against the Macron administration and the world’s highest taxes. We’re sure France’s plege to send 1 billion euros to rebuild Iraq will help calm them down. Former French conservative minister Luc Ferry called for live rounds to be used against the Yellow Vest “thugs” who “beat up police,” such as this former pro heavyweight boxer, 37-year-old Christophe Dettinger who was arrested after squaring off with several French police officers. The attacks on police are exceptions and not the rule especially considering the turnout of several millions nationwide since the movement started.